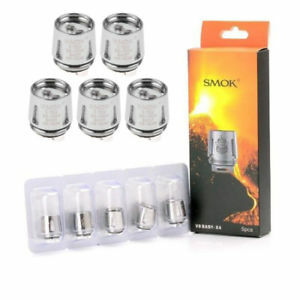 BRING U A DEEP AND RICH CLOUD TASTE !!! Smaller than the full sized TFV8 coils, the baby beast coils are redesigned to offer the same fantastic flavor, and vapor production (clouds!) 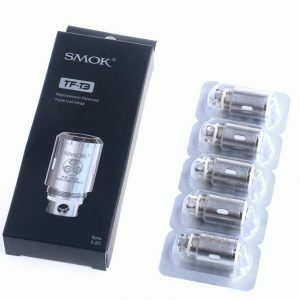 as the TFV8. 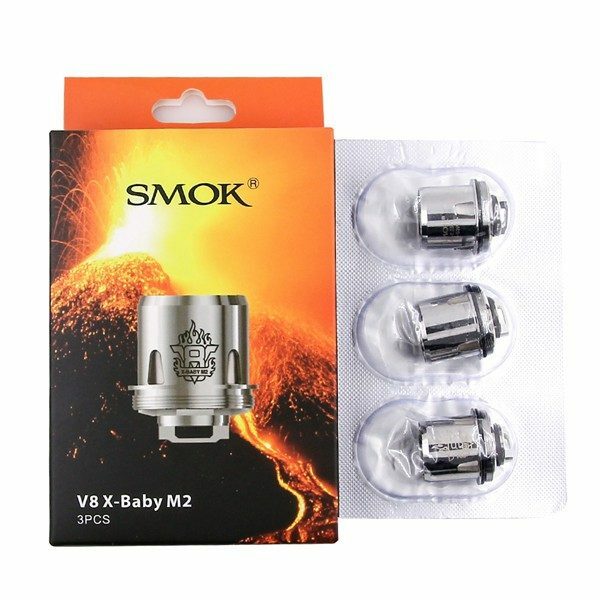 The V8-X4’s feature a double barrel, quadruple (dual parallel we suspect) coil setup and is designed to enhance flavor while still allowing higher power vaping. 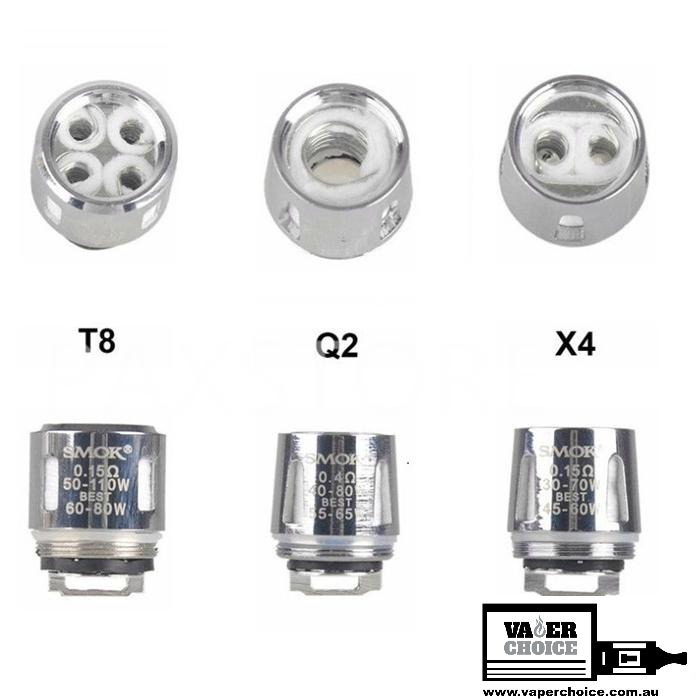 Note: These Coils will not fit the full sized TFV8 or the TFV12 tank, they will only fit the TFV8 Baby Beast and Big Baby Beast. 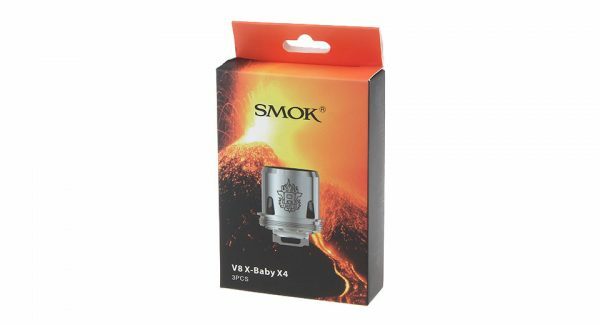 The SMOK V8 Baby-T8 Core is a 0.15ohm octuple coil which supports 50 – 110W wattage providing a deep and rich cloud taste. 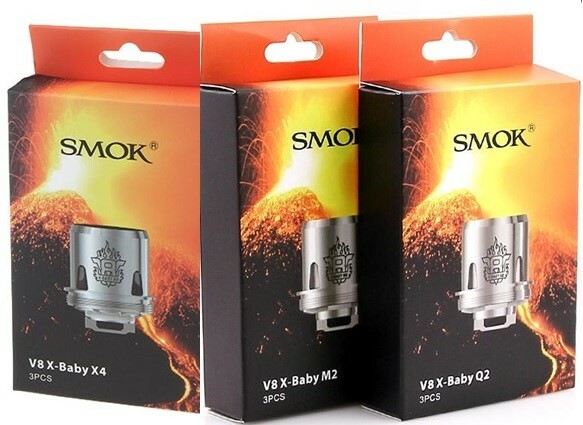 The SMOK V8 Baby-T8 is specially designed for TFV8 Baby and TFV8 Big Baby. 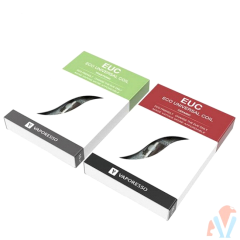 3 pieces per pack. 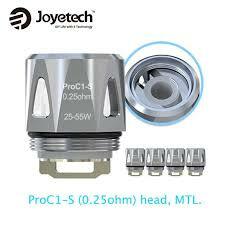 Compatible with the TFV8 Baby and the TFV8 Big Baby. 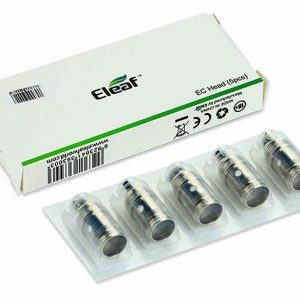 It is NOT compatible with the TFV8 Tanks.